Accordion, Bagpipes, Banjo, Cello, Clarinet, DJ, Dobro, Electronic Music, Fiddle, Flute, Harmonica, Harp, Lead Guitar, Mandolin, Other, Other Percussion, Piano, Saxophone, Steel guitar, Trombone, Trumpet, Ukulele, Upright bass, Violin, Vocalist - Alto, Vocalist - Baritone, Vocalist - Bass, Vocalist - Soprano, Vocalist - Tenor. I am 44 yrs old. 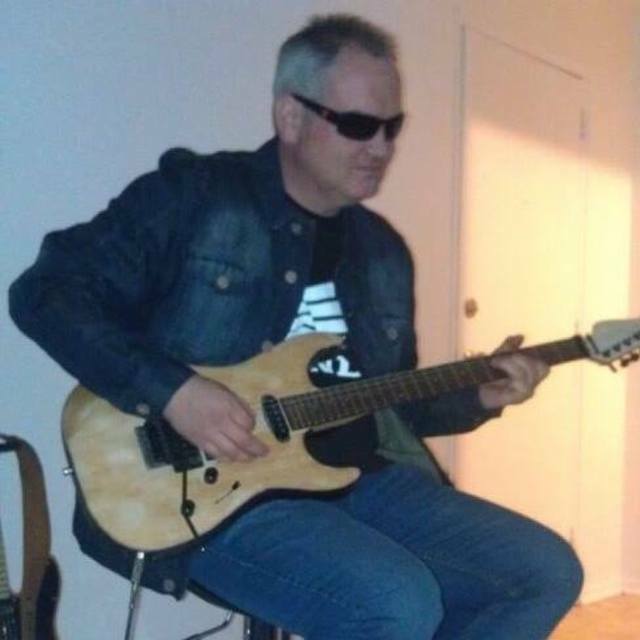 I enjoy writing originals and playing covers .Styles I am into are Guitar instrumental,Rock,Blues,metal ,country and Jazz. Eric Clapton,Richie Sambora,SRV,Buddy Guy, Django Rienhart,and so on! Fender guitars and amp ,and pedals.